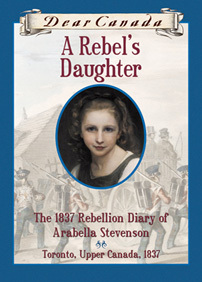 206 pages | Ages 9-12 | 5 3/8" x 7 5/8"
After her father is jailed for taking part in the 1837 Upper Canada Rebellion in Toronto, Arabella's upper-class mother is unable to cope. It is up to twelve-year-old Arabella to take care of herself and to pray for her father's safe return. The soldiers took Papa and twenty-six other rebels from the gaol today to go to Kingston. They left this afternoon from the Yonge Street wharf. I could not stay away. I sneaked (again) from the house and ran straight to the wharf. I almost wish I had not gone, it was so horrible. A great many people came to stare and shout horrid things — I daresay they were at the hanging of Mr. Lount and Cousin Matthews. But many were the families of the prisoners. It was easy to see which ones they were because they were like me, trying to reach the men, to take their hands once before — oh the prisoners — oh, Diary, the poor prisoners! my poor, poor Papa! They looked so sad. They were brave, I know they were, but they looked so sad! They were bound together in heavy iron chains and those hateful soldiers were making them walk too fast up into the steamship. No matter how I pushed my way through the crowd, I could not reach Papa. I waved to him and I called and called. I think he might have heard me because he did look back once. He looked very brave. I shall confess to you, Diary, that I could scarcely see after that because I could not keep from crying. I tried hard not to, but I could not stop myself. Someone put his arm around me and there was Mr. D. He came down to the wharf so that Papa would know there was someone who cared about him. 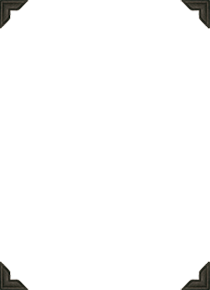 I know he did. I hope, I hope, I hope that Papa knew Mr. D. was there and that I was there. No one should have to go off to the entire other side of the world without knowing that. I am so glad that I bought Papa the stationery so he can write to me. If he wishes to. If they allow him to. From Dear Canada: A Rebel's Daughter, copyright © 2006 by Janet Lunn. This story is about a girl who is upper class and whose world is turned upside down. I loved it. She does the unthinkable and keeps true to herself. I love this book lol this is so fun !!!!!!!!!!!!!!!!!!!!!!!!!!!!!!!!!!!!! I loved it!!!! Even though A Rebel's Daughter was sad, it was VERY, Very good!! So far, all the Dear Canada books I read, I LOVE Them, ALL!!!!!! This was a really good book. Although it was a little creepy at times, I still liked it alot, I would recommend it to anyone, over 11 years of age. This was an amazing book. It made me emotional and it was sad at times and happy too! The end bothered me because she never saw her father since last time she visited him in prison and he didn't continue talking to Arabella. Her mother was a stubborn woman and never talked to Arabella since she bid her farewell to England. It made me cry two times at the epilogue "What became of them all" as they called and at the last diary entry. Everyone who reads this book should rate it a 10 because it is one. But it should be out of a hundred!!! !